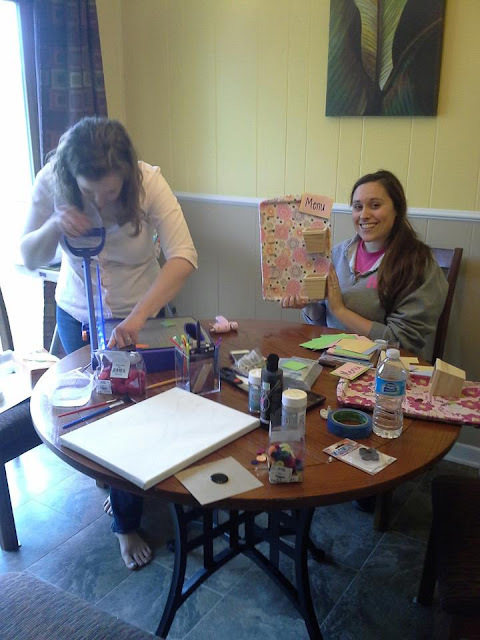 I had a fun afternoon doing Pinterest crafts with my friends Amy & Sierra! Amy is showing off her new menu board while I am intently paper cutting. One of the projects today was a menu board! 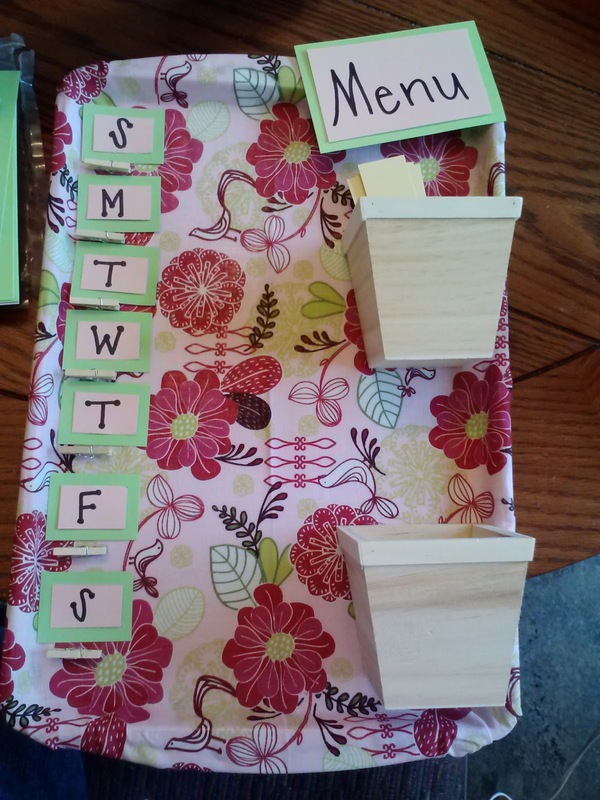 (A big thanks to Amy & Sierra for finding the idea and getting the supplies.) We used a fabric quarter to hot glue fabric to a cookie sheet. We attached magnets to the back so it attaches to the refrigerator. Amy found two little wooden boxes that worked perfectly to hold menu ideas. You could also attach a notepad to jot down your shopping list. 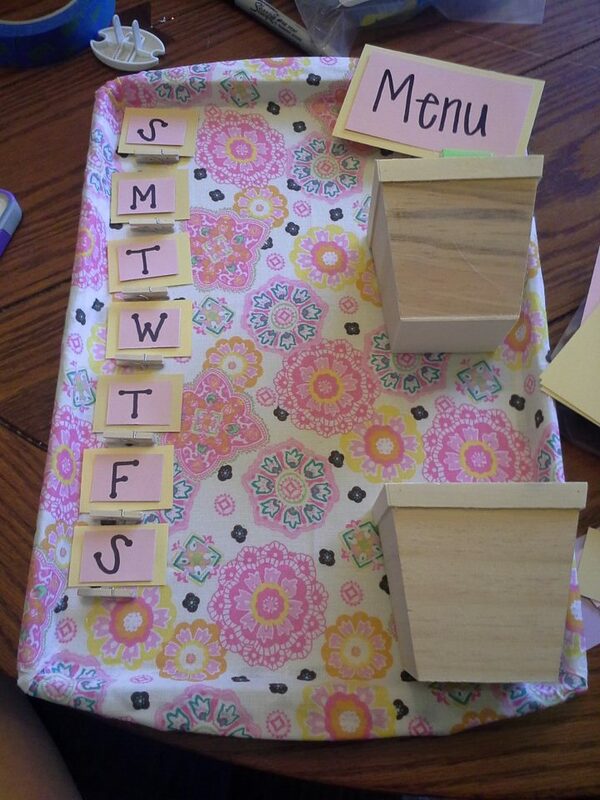 Simply add mini clothespins and some labels made from scrapbook paper and voila - a homemade menu board. Now it's time to put it to use! Hate arguing over what to do for dinner each night? Tired of last minute grocery runs? Well this is a great solution! Also, the best way to stay on track with healthy eating is to plan, plan, plan! Amy's menu board turned out BEAUTIFULLY!